This story goes back to 800 years ago, when artisans of Saurashtra migrated to Madurai region of Tamil Nadu in late 16th century. 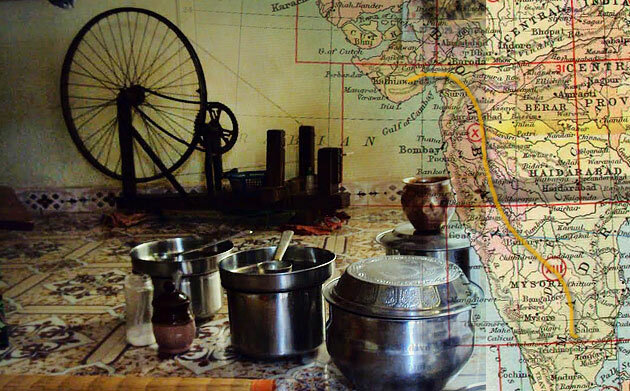 The artistic traditions of Saurashtrain artisans flourished under the patronage of Nayak Kingdom and the migratory artisans created their space and place in the Kingdom. This confluence of two distinct local cultures gave a new meaning and identity to many craft practices. Saurashtrain artisans carried the age old technique of resist dying and weaving methods from their ancestors. This tradition followed for several hundred years and was passed on from one generation to another generation. 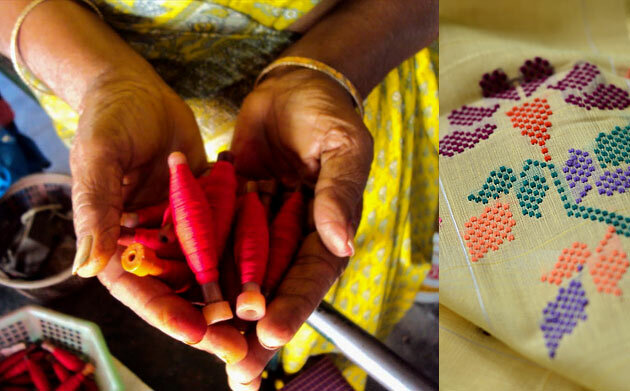 The resist textile methods such as tie and dye and batik are still practiced in Madurai, although, the number of artisans has reduced drastically in past few decades because of the socio-economic condition of weavers. The tie-dye technique travelled from west to south; however nobody knows how the name changed to Sungdi from Bandhini. 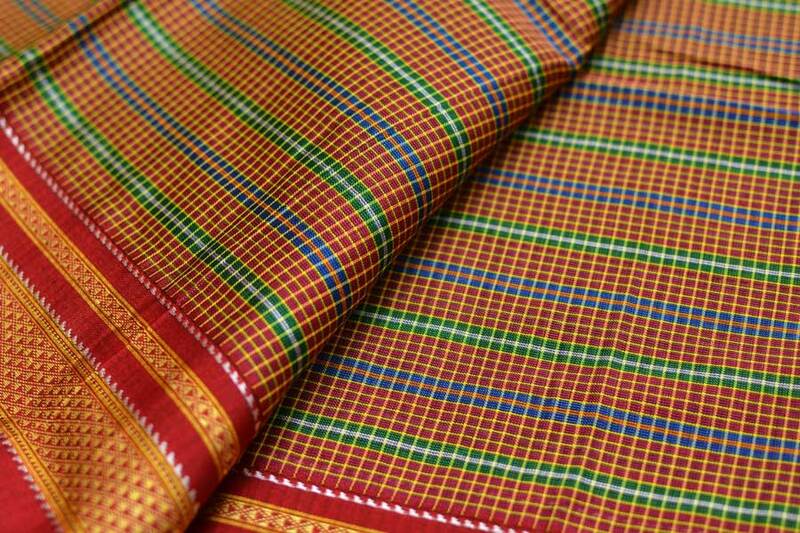 Today, saurashtra artisans continue to weave, practice batik and sungdi in the surrounding villages of Madurai for sustenance. A conversation with Saurashtra speaking weaver’s of Kaithari nagar, Madurai.Seventy six year old T. R Atma Rao lives in kaithari Nagar village with his spouse T.A Vairamani in a small two room house. 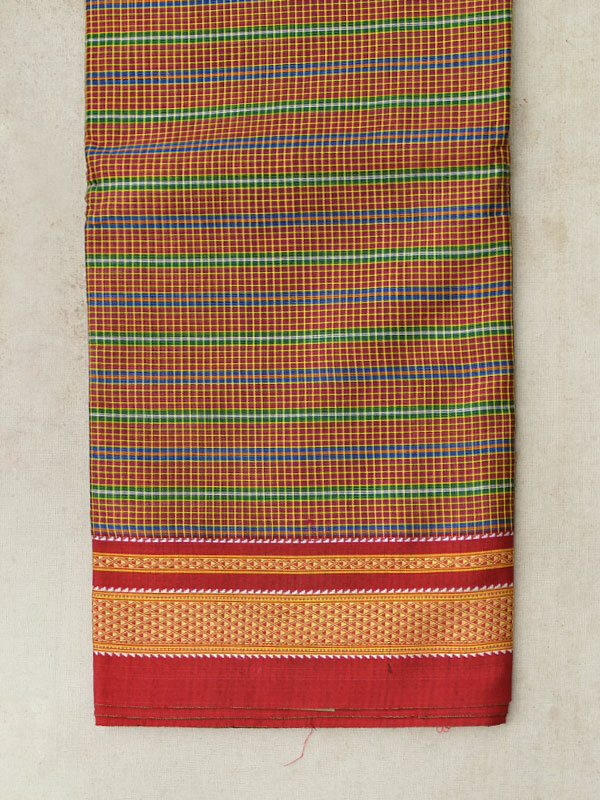 To use the given space wisely, thari (loom in Saurashtrian language) is raised from the ground level so that there is enough working space underneath the warp. 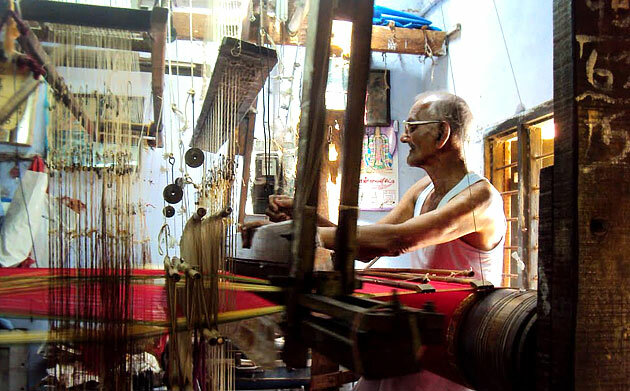 He is weaving thuni (a generic term for cloth or fabric) since sixty years. 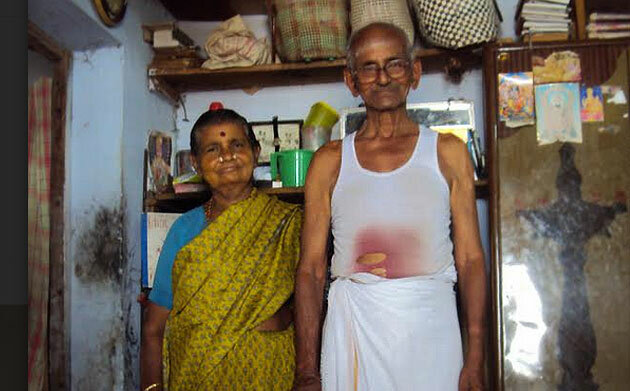 Vairamani is sixty eight years old. She used to weave earlier but nowadays she is able to assist him only by spinning kendo (bobbins) for weaving because of weak eye sight. Their son passed away and their daughter is married and lives close by. He weaves for a master crafts person to support his family. 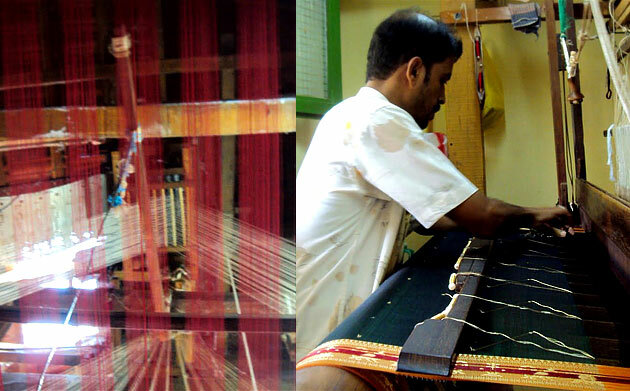 According to him the condition of weavers will never change even if one is exceptionally skilled. 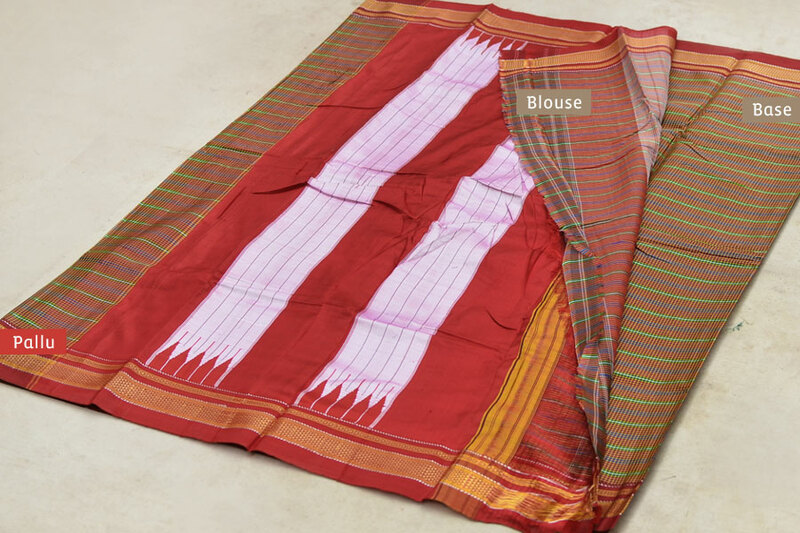 In comparison to the amount of time and energy they invest in making one Cheelai (saree in Tamil), the returns are always insufficient to even run a small household like theirs. 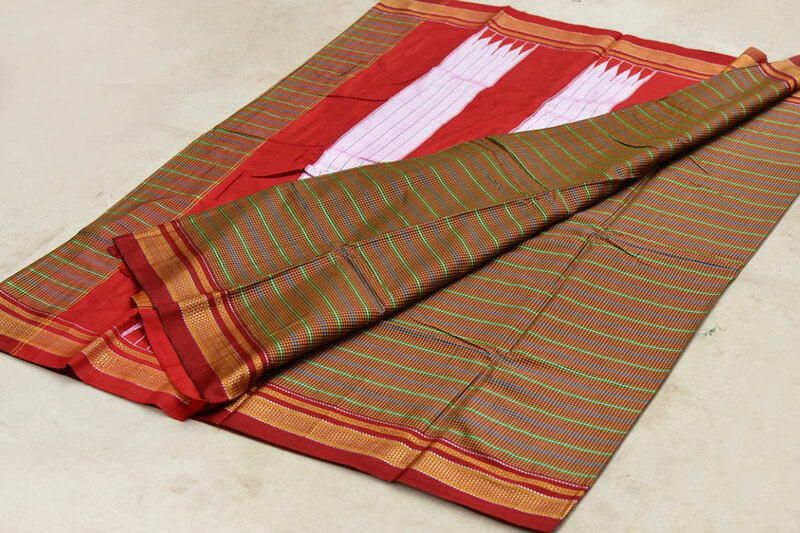 Kaithari Nagar weavers weave excellent quality of jacquard silk and cotton sarees. This village was given especially to weavers to practice weaving in an open space without any hindrance by the Tamil Nadu Government. It is located 20 km away from Madurai. 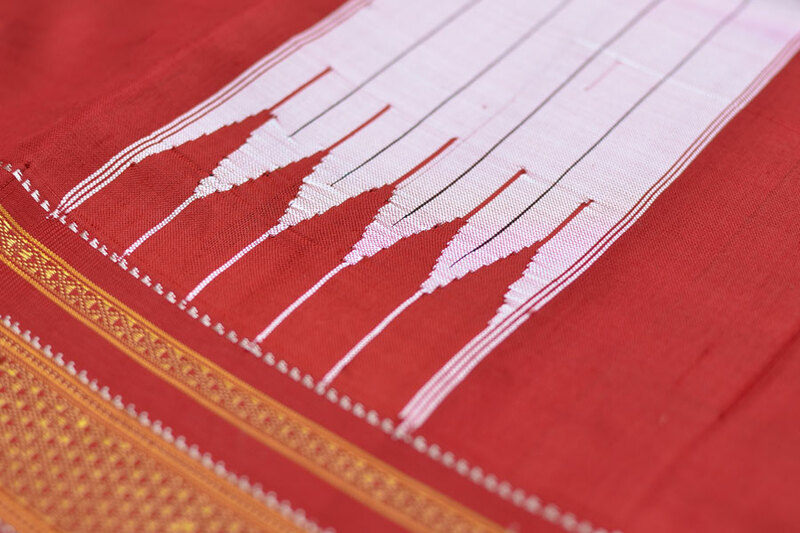 The making of Cheelai ( saree) ~ After spinning and winding threads for warp-pashoth (silk) or paruthi (cotton), threads are stretched in the open space and smeared with starch using a tool. 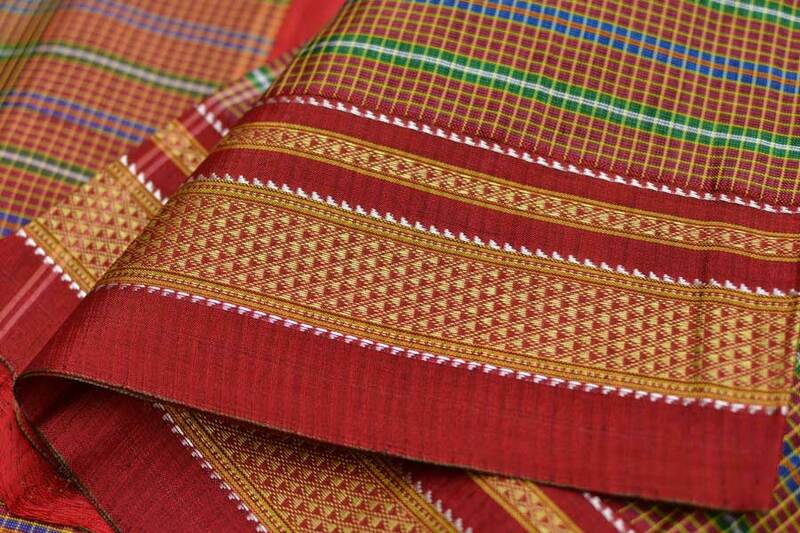 The threads are fixed to the left over threads of previous Cheelai by entwining each thread by hand using ash. Usually three thousand to four thousand threads are entwined patiently and skillfully in one warp by women. 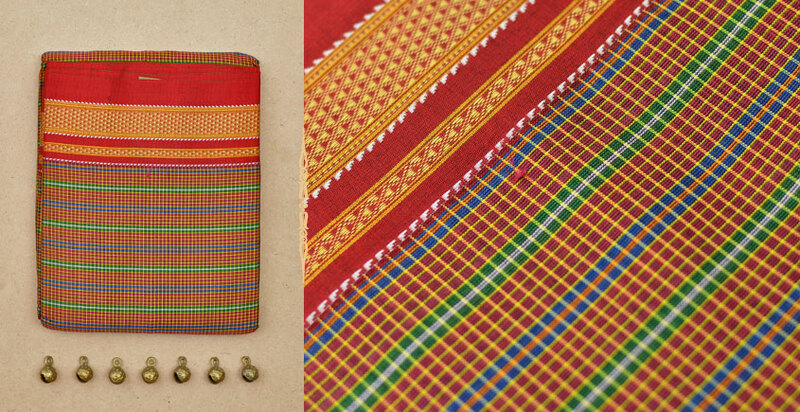 To create patterns on the Cheelai, jacquard cards are punched for the border and pallu. 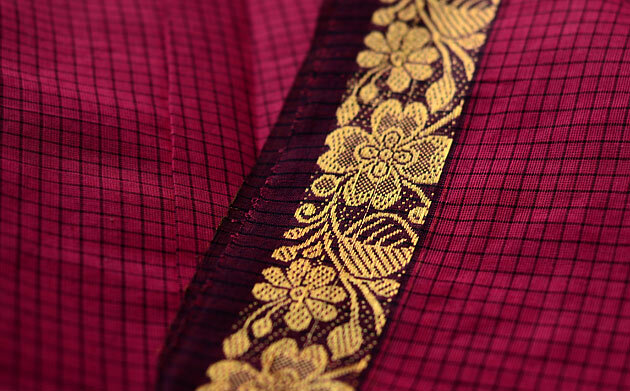 Elaborate floral, geometrical patterns and sometimes Madurai temple pattern can be seen rendered on the entire border of Cheelai. The main body of the Cheelai is enhanced with booti using lurex or zari threads skilfully.